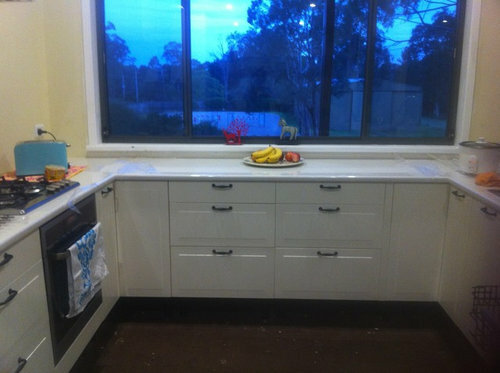 Our new kitchen is complete except for a splashback and free standing wood topped island to come. My first choice for a splash back would have been glass but I was shocked by the price. I am now thinking white subway tiles with light grey grout. The walls would be Lexicon quarter strength. 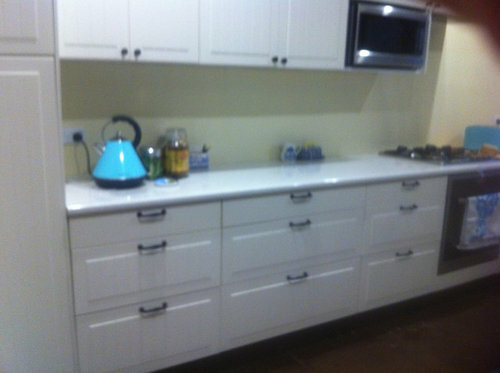 The cabinets are off-white painted and bench tops white with grey fleck. Mid brown wooden floors to come. We have lovely rural views. I would prefer to add colour with accessories but don't want it too look too bland. If I go with the subways, should I choose straight or bevelled edge and white, off-white or cream or another colour? Thank you in anticipation of your help. I would go neutral with pops of colour in accessories. You have lovely rural views so you could bring in greens in herbs and fruit etc and change around as you like. I like what you have done already, just need the tiles and suggest you get the tiling showroom to show you how to lay them. Take print outs of these photos in A4 size to show them. Hope this helps. Thank you. Would flat or bevelled edge tiles be best? Thank you for your reply. 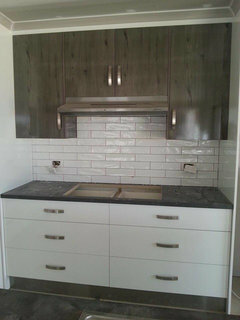 I think I will go for the flat tile in white gloss with light grey grout. I want a back splash that is easy care and the grey grout seems to be suitable. 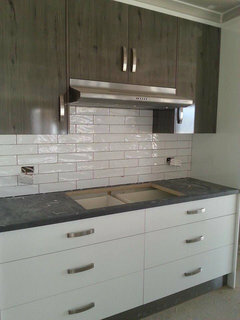 We did white tile and light grey grout - looks OK? Go neutral but with texture, then it won't date as quickly. Use accent colours in your accessories. 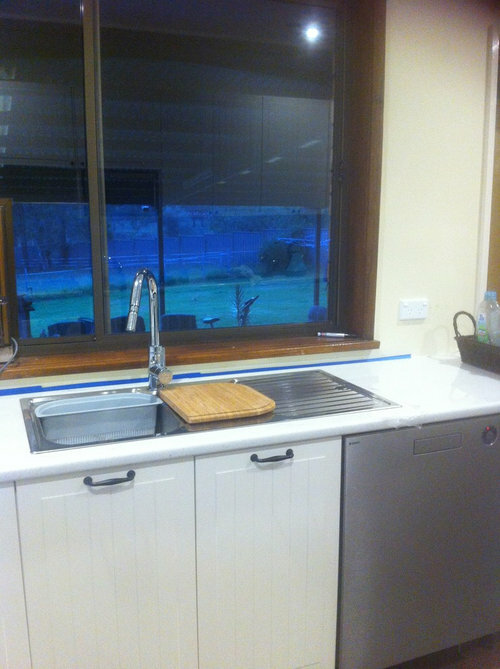 Glass splashbacks - yay or nay? 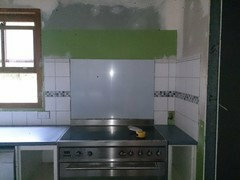 Is having a prep sink on the island a good idea?